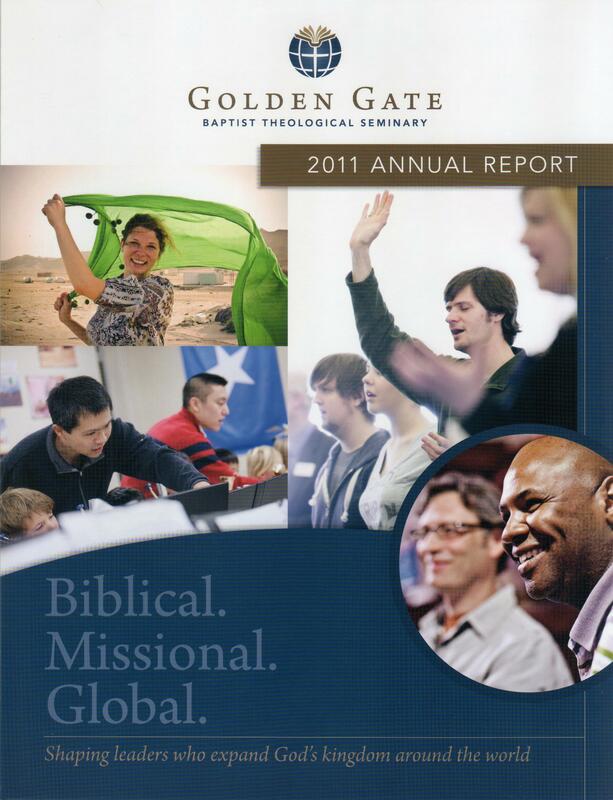 Golden Gate Baptist Theological Seminary had never published an annual report until Phyllis was tasked with producing one in 2008. Golden Gate’s President requested a shorter, brochure-like report which shared results with supporters and donors in an easy-to-read format. Using graphics, photos and brief text descriptions, Phyllis worked with InspireDesign to highlight the Seminary’s activities, accomplishments, and financial details of the year. The report provided a snapshot of the five-campus seminary system, listing the academic degree programs, the varied delivery formats, describing the five campuses, and featuring three student profiles. Phyllis wrote the text, took many of the photos, and collected the remainder. The financial statistics were provided by the Seminary’s CFO. The goal was to create a brief summary of each year while graphically portraying Golden Gate with a diverse student body. The tri-fold report was printed on heavy stock. When opened it measured 11” x 17” and folded it was 8.5″ x 11″ and was mailed in a booklet envelope.